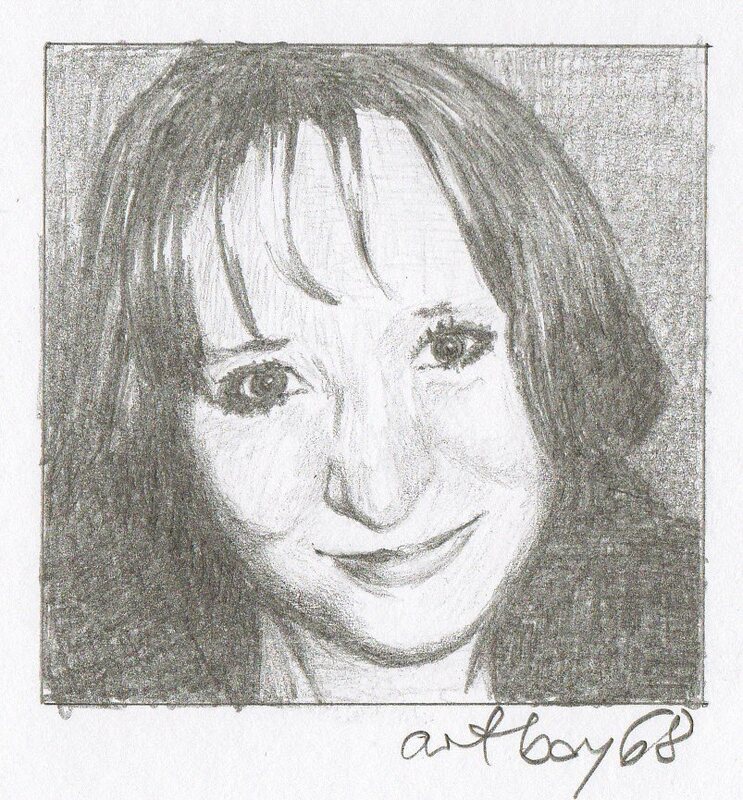 Liza Bennett, pencil, 2 3/8" x 2 3/8"
Thank you, so much for the drawing and the kind words. It’s wonderful. Such a lovely face and Liza’s blog is wonderful.. Thank you Isabella! You’re too kind! I received my portrait today. Thank you again and good luck with your goal.